Do you have an avatar for your business? Most of us don’t and even if we do, it is not complete like it should be. 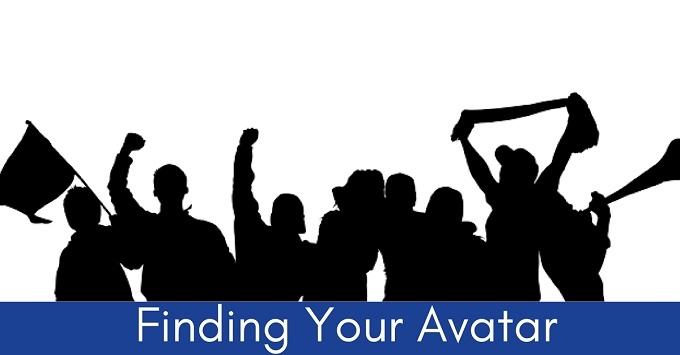 In this article, you will learn exactly what an avatar is, why your business needs one, and how to create the perfect one. An avatar is a person who represents your perfect customer: they are the reason you started your business, the person you want to help most, the person you created your content and products/services for. When starting your business, properly defining your avatar is one of the first steps you should take. I often hear… well just about everyone can benefit from my product or service! While this may remotely be true, everyone is not your most ideal prospect. Some clients may be easier or more fun to work with, some may be easier to convert into clients, and some you may be able to deliver results for quicker than others. “My avatar is anyone who wants to eat healthy”. “My avatar is 34-45 years of age, works a 9-5 job, has a family of 2 kids and finds themselves frustrated because they don’t seem to have the time to make their family healthy meals”. Why You Need An Avatar? As an entrepreneur, you are going to comes across hundreds if not thousands of things you are going to have to make decisions about. Your avatar is going to be your best business coach. Because whenever you have any of these questions, simply ask “What would my avatar want?”. In our case above… “What would Melissa want?”. What should I blog about? – Melissa wants healthy recipes, she is looking for them every night! How long should my content be? – Not that long, she doesn’t have much time working 9-5 and raising her boys. You are going to need to sit down and really think about the type of person you really want to help. Get detailed and specific. I have put together a free worksheet to help you through the process, grab your copy by clicking the link below. What blogs/websites do they visit? What books/magazines do they read? The more you can get inside of the head of your ideal customer the better. For sure! Your avatar can and should evolve. You may think you know who your ideal customer is but after actually talking and working with them you may find out that isn’t really your ideal customer. Your avatar can change, don’t feel you are beholden to it for the rest of your business life. Also, just because you defined your perfect customer doesn’t mean there aren’t lots of other people out there who can still benefit from what you offer. They may not be your perfect customer but they can still benefit from what your business offers. So in our example even though our avatar is married with kids, certainly divorced women (even with no kids) could still benefit from what we have to offer. They key distinction is that we are building our business and messaging around our most ideal customer. What is your avatar? Share and comment below.